It is time for the teachers to get their classrooms ready and the students to go back to school. 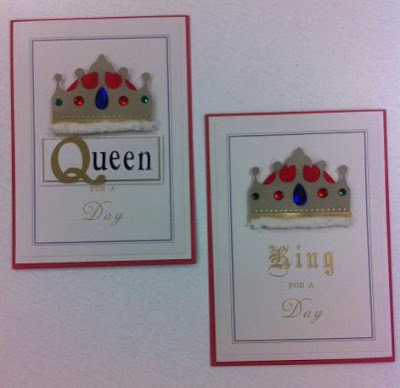 This year’s royal wedding was our inspiration for Tami’s new classroom theme. We used all recycled materials to make this mini castle; newspaper, paper towel and toilet paper rolls, and an empty tissue box. 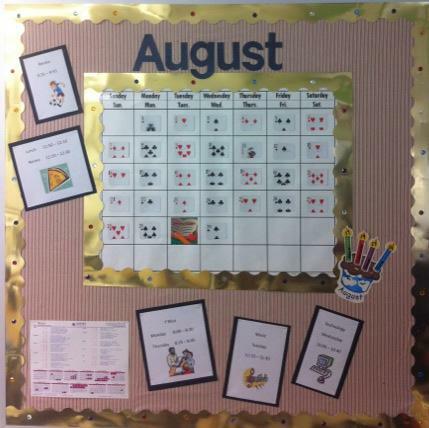 The bulletin board that sits right outside Tami’s classroom is always a statement piece to welcome her new students. 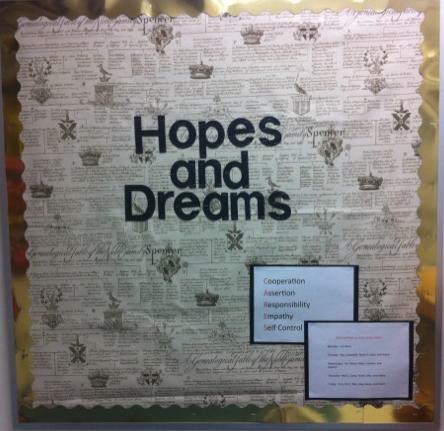 We used this opportunity to also introduce the classroom theme for this year. We envisioned this bulletin board as the outside looking in on the castle, and as you enter Tami’s classroom the whole scene gets larger and brought to life. Always be prepared. Tami set out materials for her students to participate in a creative project on the day of their Open House. She incorporated her theme into the project as students created their own kings and queens to add to this bulletin board. Students are welcomed into the classroom with their name posted on the door. This proclamation introduces them as “The Kings and Queens of Second Grade”. Inside the classroom the scene gets larger as if you have become part of the fairy tale. The alphabet wall is made to look like a large wall of the castle from the outside bulletin board. The inside bulletin boards are decorated with rich satin, velvet, and royal patterned fabrics and embellished with gold borders and large jewels. This royal inspired fabric was purchased at F and S Fabrics. Dream Catchers will later be added to express each student’s “Hopes and Dreams” for the year ahead. This bulletin board, which sits right inside the door to the classroom, is a perfect spot to display pictures of students at work. The file cabinet underneath holds student work. We decorated the top of it to give it a feel of home: a fabric runner, tissues, and silk flowers all in the color scheme to match the classroom. We made our own calendar accessories using playing cards with sticker numbers and sparkly letters to spell out the month. A Word Wall is a place for students to look for the spelling of their most used words. This castle shaped Word Wall is full of words; newspaper printed background and important words printed under each die cut letter. These adorable playing card name tags were made to help Tami’s second graders find their seats on the first day of school. Greeting cards reading “King and Queen For a Day” are a great way to make a birthday boy or girl feel extra special. Incorporating the theme into even the smallest of touches keeps everything consistent. We hope all our teacher friends and those in school have a great school year! 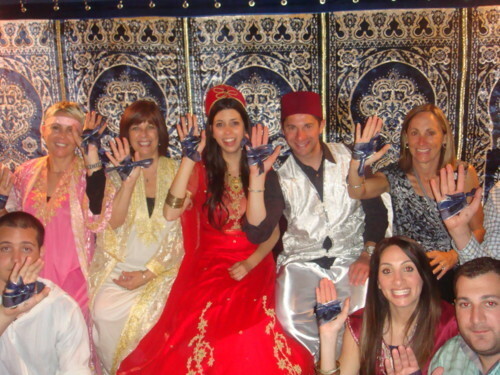 Here is an awesome cultural spin on a traditional American bridal shower, a Moroccan Henna Party. 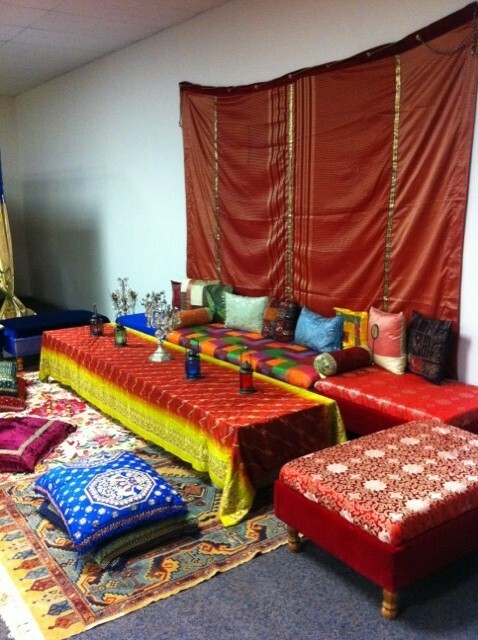 As our dad is Moroccan-Israeli, we wanted to incorporate his culture as much as possible into the wedding planning. 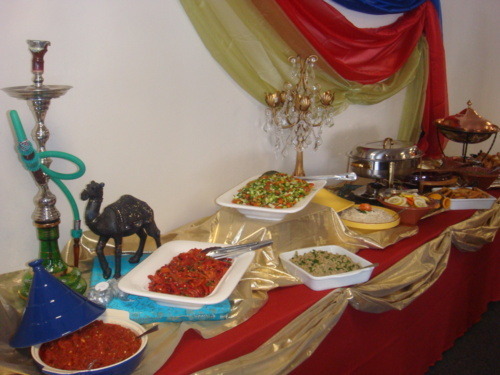 We started out this event with an overabundance of food and drinks in a more relaxed environment for the women to meet or catch up with old friends. 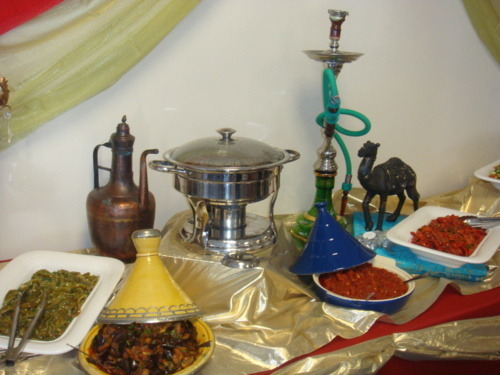 The menu included traditional Moroccan salads and main dishes as well as a delicious white wine sangria. As the night progressed, the men joined us and the music got louder. 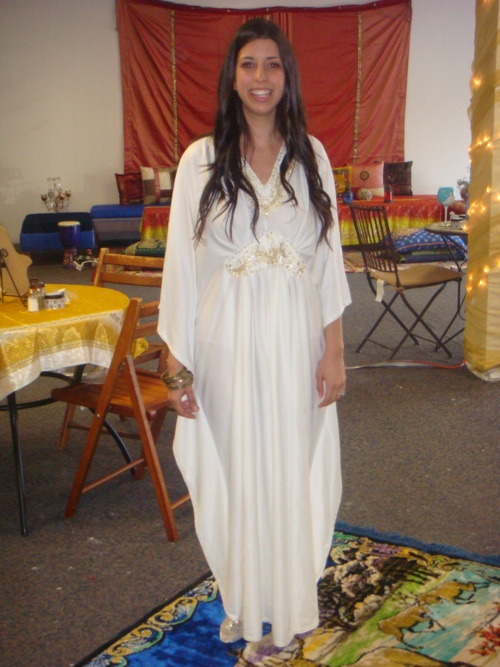 Lauren changed into her first traditional Moroccan costume to greet her guests. 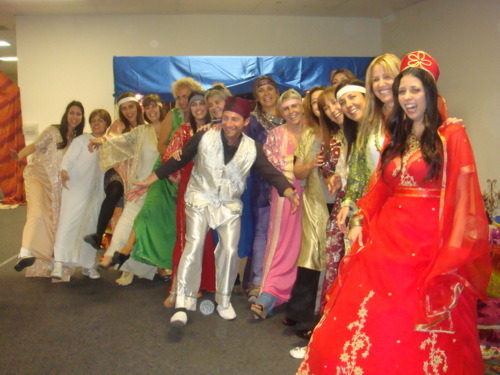 Costumes are beautifully embroidered in metallics and bold colors and embellished with jewels. The room was tented with beautiful fabrics and strung with lanterns. As Lauren changed into costume number two, guests welcomed the opportunity to change into costumes as well. Many had never experienced anything like this. 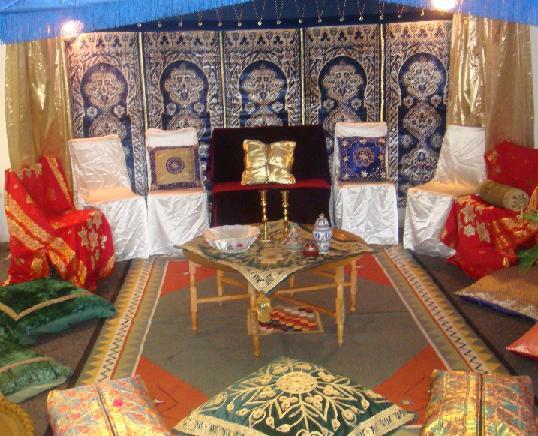 All of the immediate family moved into the tent to conduct the Henna Ceremony where you put henna in the palm of your hand for luck and as a memory of a special event. 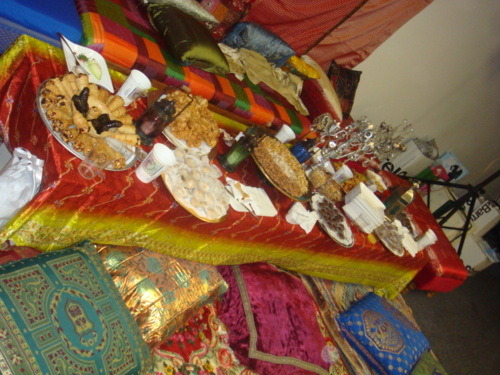 Delicious homemade Moroccan cookies and tea with fresh mint were served, and the night got even louder as the DJ showed up. Everyone danced for hours to Israeli club music. 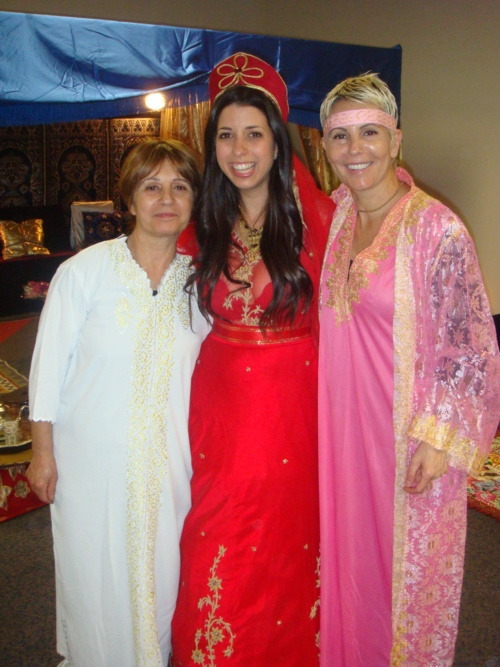 Lauren is extremely lucky to have an amazing family that not only worked hard hosting this event but also wanted to share their culture with all of their guests. Thank you Evon and Suzy for all your creativity and hard work. People are still talking about how much fun they had, but mostly everyone talks about how good the food was which came from our Aunt’s restaurant, Suzie’s Deli-cious. DIY (Do It Yourself), a term used a lot in wedding blogs and magazines, is a great way to put a personal touch on traditional parts of a wedding ceremony. We created this Ring Bearer pillow from just a few scraps of fabric, a pillow form, and vintage buttons we found in our grandma’s collection. Big thanks goes out to our friend Adi for helping us bring this project to life. Who would guess that this basket was originally some ugly pastel color and sitting on a shelf in Michael’s with an After Easter Sale sticker? 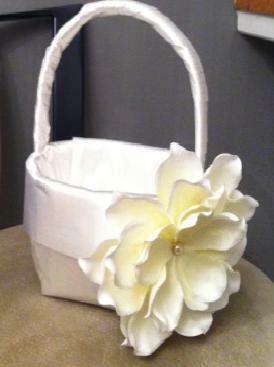 We transformed it into this beautiful Flower Girl basket by wrapping it in thick satin ribbon, securing the ribbon with a hot glue gun, and embellishing it with an over-sized flower. We took a couple silk flowers apart and reconstructed them into one larger, fuller flower. A pearl center finished off the look. Impromptu pool parties are always a great way to spend your Sunday, especially when you still have family or other wedding guests in town. Ordering a bunch of pizzas is an easy way to entertain at the last minute. Fill in with a few fresh, homemade salads and a fruit infused water or mint lemonade. Now all you need is a pool. Here’s an added Friday bonus for our readers! Last weekend we were invited to an end of summer BBQ and pool party. What better way to toast the end of summer than with a fun treat that brings us back to our camp days. We found a recipe for s’mores pops that made our mouths water but thought using skewers was much more fun for a BBQ (and brought back so many memories of sitting around campfires). 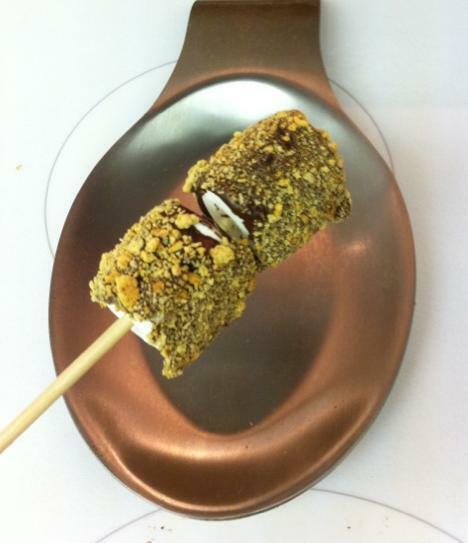 If you love s’mores like we do, you know the graham cracker is a staple ingredient. We used cinnamon graham crackers to put a fun spin on the original recipe. Chill in the refrigerator until chocolate hardens and enjoy! With the end of summer just around the corner, why not throw your own end of summer party or bring a fun treat, like these s’mores skewers, to a party you are invited to. Having guests bring a treat is a great way to get new ideas too.